Now it is projected that by 2050, as many as 16 million Americans will suffer from Alzheimer's, a form of dementia that is a progressive, disabling and terminal disease of the mind and body. The direct costs of caring for those with Alzheimer's will total an estimated $203 billion, including $142 billion in costs to Medicare and Medicaid. In 2017, an estimated 700,000 Americans age ≥65 years will have AD when they die, and many of them will die because of the complications caused by AD. 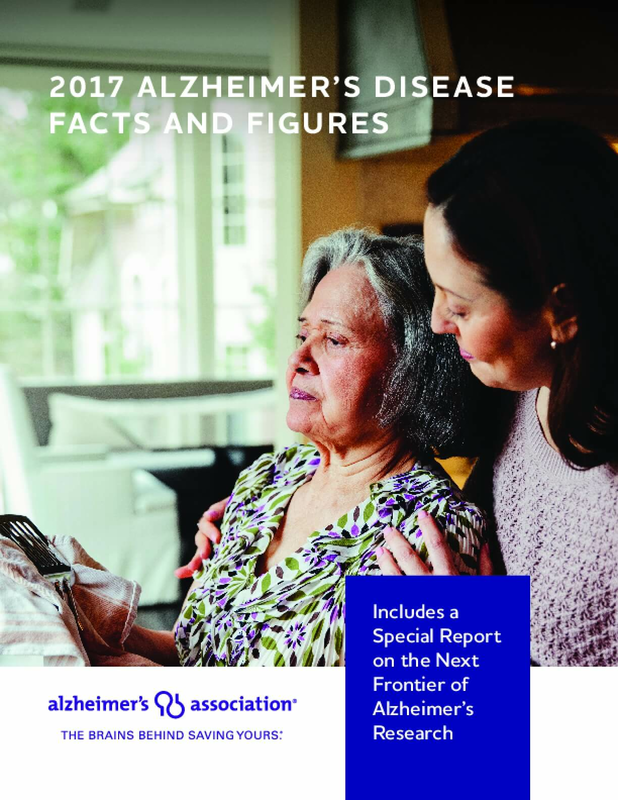 In 2016, more than 15 million family members and other unpaid caregivers provided an estimated 18.2 billion hours of care to people with Alzheimer's or other dementias. This care is valued at more than $230 billion. Copyright 2017 Alzheimer's Association. All rights reserved.